Let Just be honest with our selves here, Chocolate is amazing. There is a reason that the Aztecs used cocoa beans as currency! This stuff is amazing. But there is a slight hang up with chocolate. Its sweet. And I dont dont mean sweet like your puppies eyes when hes staring at your dinner. No, I mean its almost always loaded with sugar. That stuff you not suppose to eat anymore? Luckily for you there is a solution. it comes in the form of brownies. Keto Brownies to be precise. Just because you are being awesome, losing tons of weight and feeling great. Doesn’t mean you cant get you chocolate fix. You might be wondering, how in the hell am I going to be able to make brownies that wont throw me out of ketosis? Brownies have sugar, flour and chocolate in them. Let’s talk about the ingredients that you are going to be looking at. In general these recipes are going to use some combination of the following ingredients. Go with a high quality Coco Powder Like Ghirardelli’s, You’re worth it. If you use a vegetable based oil, use coconut, try to avoid Hydrogenated oils like shortening or highly processed oils, Like “vegetable oil”, they’re gross. When you use butter, always get the best you can, organic, grass fed is the way to go. These are your brownies. Do what you want just remember that the quality of the food you eat is always going to be important. 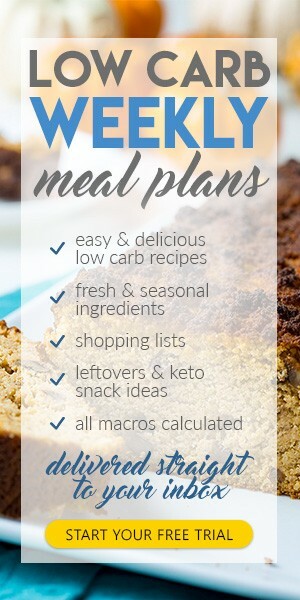 Gimme Those Keto Brownies Already! Alright, Lets get to the recipes. that’s why your here after all. If Baking isn’t your thing then dont be hard on yourself. We all have to start somewhere. consider making smaller batches or practice with less expensive ingredients until you nail it. Also, you can always just bring them to work. I’ve discovered people will pretty much eat anything if its free. Especially if it has chocolate in it! These super fudgey keto Brownies are also paleo. Just dont over bake them, you want that nice gooey texture. Really you do! try to use room temperature eggs and if you can chill the batter in the fridge for a while before baking. What other diet lets you eat like this? aren’t you glad you you can still eat brownies and only get 1 gram of carbs per serving. These easy keto Brownies really look delicious. Having an easy recipe to go to means that you dont have to have all kinds of kitchen skills to be able to create something that’s going to satisfy your sweet tooth. Make sure not to over bake, that’s going to be a theme with brownies. You want gooey and smooth not hard and burnt! Pick up some sugar free chocolate chips to really make these brownies stand out. Simple but awesome Keto Brownies. These are pretty basic, but then again sometimes that’s all you really need. just basic brownies, to make you feel like you aren’t depriving yourself. Using a skillet to bake your brownies in in is definitely a cool way do it. and the peanut butter drizzle looks so good! If you dont have a cast iron skillet, be sure to check them out. They’re a great way to cook lots of things. just be careful around them as they can get very hot. Definitely check out Tasteaholic’s Dessert in 5 For more incredible low carb desserts. Using coconut flour, this recipes is a little different from the ones you’ve seen so far. Coconut flour isn’t really flour at all, its just flaked coconut with out any oil in it. It really swells up. The first time I used it I really didn’t expect just how much liquid it can absorb. Coconut flour has a spongy texture that reminds me of cake. so I can see this working well in a brownie. Once again. Don’t over bake these brownies, this must be a rampant problem in the brownie baking community. This recipes really goes in to depth about how to get the best brownie possible. like liking you glass baking dish with foil first. This Way you can easily lift out the baked brownies so they can start cooling right away. It’s Important to let Brownies cool before you begin cutting into them. they stay more chewy and you wont burn your mouth! These also have Walnuts which is a big plus in my book! Cakey or fudgy? which do you prefer? This recipe is actually two recipes, one is cakeir and the other… well its fudgeir. Is that a word? It is now! This recipe also calls for actual sugar free chocolate instead of coco powder. Anyway having the ability to control the texture of your brownies sure is great. I definitely like a fudgey brownie myself. But you do you. That’s whats important. Well that Wraps it up for this Round up. Be sure to check out these post if you are craving some sweets while trying to stay in ketosis.